The registration office is in the centre of town and free parking facilities are available close to the office and around Dereham town centre. The outstanding feature of these ground floor premises is the ceremony room. Decorated in a modern style, in shades of turquoise, lilac and purple, there is seating for 40 people. The ceremony room overlooks the Queen Mother's Garden, which is the ideal setting for photographs. Dereham is a bustling market town, set in the idyllic landscape of central Norfolk. In recent years Dereham has thrived and can boast amenities and attractions, which appeal to both resident and visitor alike. 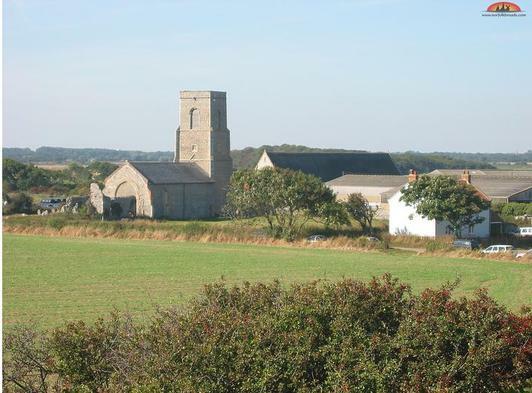 The surrounding area is that of open unspoilt countryside and picturesque villages. Dereham is a very popular venue for ceremonies. Couples are welcome to enhance their ceremony by the inclusion of music and readings. Staff will be pleased to discuss your ideas and help plan your special day. In addition to its own ceremony room, the office can offer a variety of approved venues for civil ceremonies. These range from a town centre hotel to premises set in their own unique country setting.